We’ve got some great new apps in this week’s must-have roundup, including Path, which finally makes its debut on the iPad; a nifty utility for monitoring the data consumed by your iPhone apps; plus a great new cooking magazine that every foodie should have installed on their iPad. 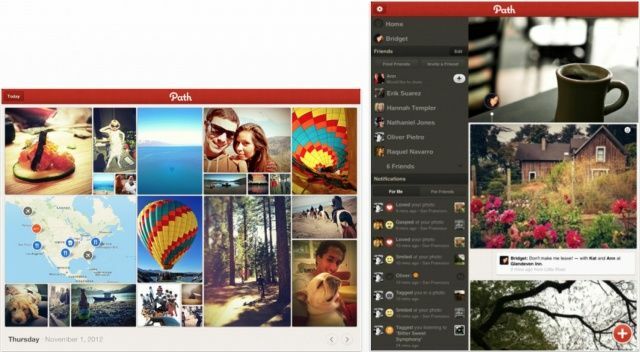 Path, the popular “personal network” exclusive to smartphones and tablets, has this week made its debut on the iPad. With a new interface designed to take full advantage of the iPad’s larger display, Path for iPad “allows for larger moments” and lets you see more of your family and friends on one screen. Path for iPad isn’t just a bigger version of the iPhone app; it’s been rebuilt from the ground up and purposely designed for a tablet. The extra space provides room for different viewing options in both portrait and landscape mode, allowing you to display a beautiful collage of the day’s moments all on one screen. The iPad app also boasts improved navigation: There’s a navigation pane down the side of your home feed, which also shows recent activity and new notifications. And like its iPhone counterpart, Path for iPad is completely free. Onavo Count is a nifty new utility for the iPhone that allows you to keep track of how much data each of your apps is consuming. It’s perfect for those who are trying to work out which apps are eating all of their data allowance. It provides weekly and monthly reports on your data usage within each app, and ranks your apps by their data consumption. 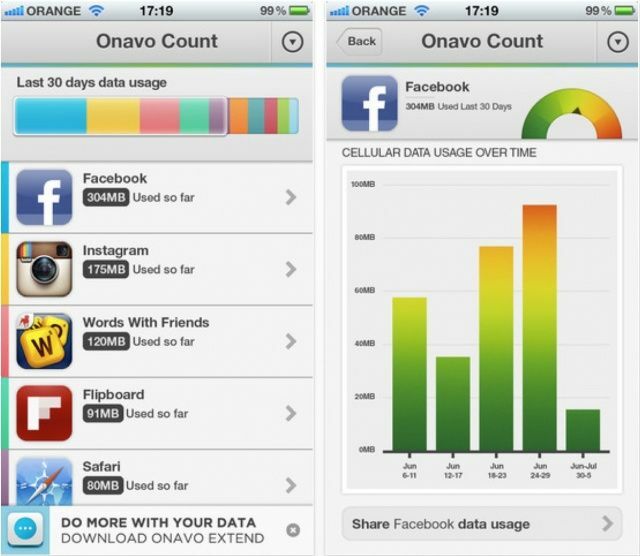 And because Onavo works in the cloud, it has little impact on your iPhone’s battery life. iStat 2 promises to be the “fastest, easiest, and most convenient way to remotely monitor a Mac or PC from anywhere in the world.” Using only your iOS device, you can check up on a huge range of detailed stats from your computer, including its CPU states, memory usage, disk space, network usage, temperatures, its fan speeds, and more. You can use iStat’s graphs to compare stats over one-hour, 24-hour, and 7-day periods, and if you’re using a Mac, you can get additional 30-, 90-, 180-, and 365-day ranges. How awesome is that? iStat 2 is super secure: it connects to your computer over the Internet via Bonjour (you need to install the iStat Server app on your Mac or PC, but it’s completely free), and you can set a five digit passcode to ensure no one else can gain access. 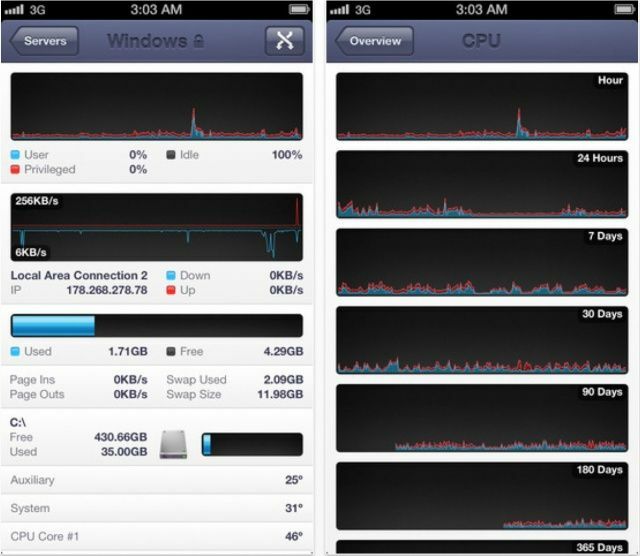 Another great feature with iStat 2 is the ability to monitor local stats for your iPhone, iPad, and iPod touch, including disk space, network usage, uptime, CPU states, memory usage, battery life, and more. 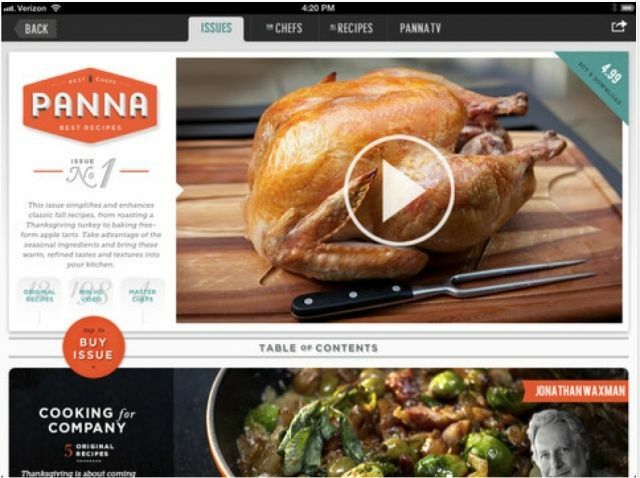 As a food lover, Panna is my favorite app in this week’s roundup. It claims to be the “first-ever video cooking magazine for iPad and iPad mini,” merging gorgeous high-definition videos with the expertise of established master chefs, including Rick Bayless, Melissa Hamilton and Christopher Hirscheimer, Anita Lo, and more. The chefs demonstrate step-by-step cooking techniques for 12-13 seasonal dishes per issue, with more than 2.5 hours of video in each issue. Panna’s automatically generated shopping lists make it easy for you to pick up everything you need for your dish when you’re next at the store. You can navigate around the app by recipe, chef, issue, meal, or keyword, and share your favorite recipes with your friends. Not only is Panna my favorite app this week, it’s probably the best cooking app I’ve downloaded to date.